Nearly five years ago, the UN decided to renew for a period of one year the mandate of an independent expert on the situation of human rights in the Sudan. The approach, among others: reaffirming the obligation of States to promote and protect human rights and fundamental freedoms as well as emphasizing that States have the primary responsibility for the promotion and protection of all human rights, including the prevention of human rights violations. The new UN expert in charge is Aristide Nononsi from Benin, with extensive experience in international and African organizations, who’s mandate was extended by the UN Human Rights Council for an additional year in September 2015. Now Nononsi reports back and urges protection of unarmed civilians after new escalation of violence in Darfur. “Violence is certainly not the way to resolve the current difficulties Sudan is facing, and must stop, now,” Mr. Nononsi stressed urging all parties to the conflict to respect international human rights and international humanitarian law and to ensure humanitarian access to people in need at all times, and protect unarmed civilians. “The Government of Sudan has a duty to facilitate free, full and unhindered access to all conflict-affected areas to UNAMID (UN-African Union Mission in Darfur), UN agencies and other humanitarian organizations,” he noted. The on-going hostilities between Government forces and the Sudan Liberation Army/Abdul Wahid have reportedly resulted in human rights violations and abuses as well as violations of international humanitarian law, including destruction of civilian property and objects as well as considerable displacement of civilians, in addition to unspecified number of civilian casualties. According to UNAMID, up to 21,338 civilians, mainly women and children, have fled into North Darfur State and have sought refuge around their camp by 1st February. About 15,000 others have fled into Central Darfur State, according to the UN Resident and Humanitarian Coordinator in Sudan. 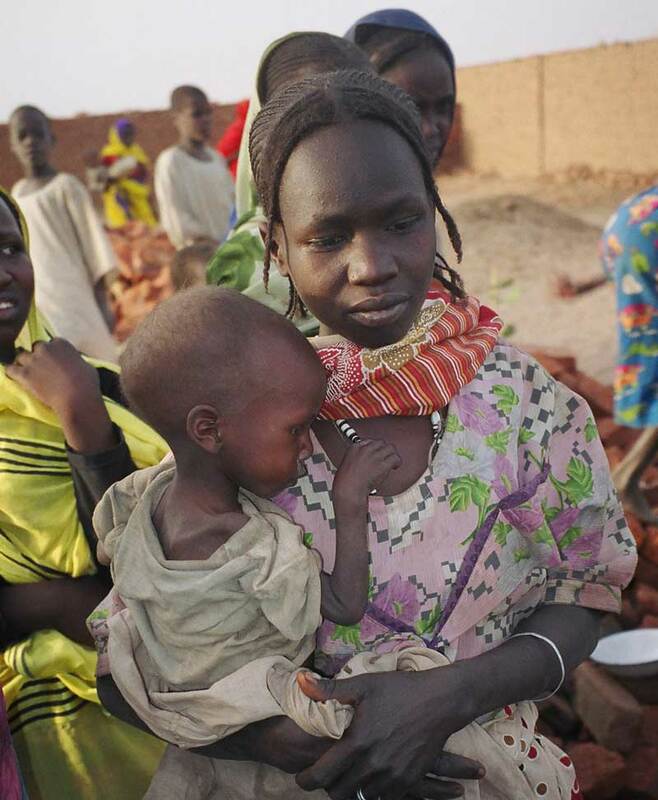 The number of internally displaced persons following the attacks on Mouli and surrounding villages in west Darfur is estimated at 5,000 civilians, according to the Humanitarian Aid Commission of the Sudanese Government. These civilians have mostly fled to El Geneina, while the number of civilians who sought refuge in Chad remains unknown. “I call on the Government of Sudan to create the conditions for an inclusive dialogue and ensure the participation of all armed opposition groups to advance peace and reconciliation in the country,” the UN Independent Expert stated.